ATEL Air installs central air conditioners, ductless air conditioners, air source heat pumps and even custom ductwork. Each type of system has advantages, and bigger doesn’t necessarily mean better when it comes to cooling. To get the best possible energy savings and the longest possible working life you need the right size system for your home. 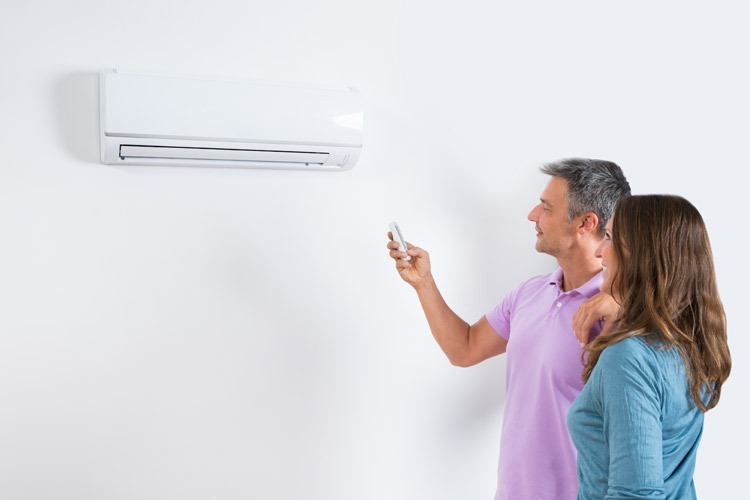 Whether you need a central air conditioner, ductless air conditioner or air source heat pump, we can help. 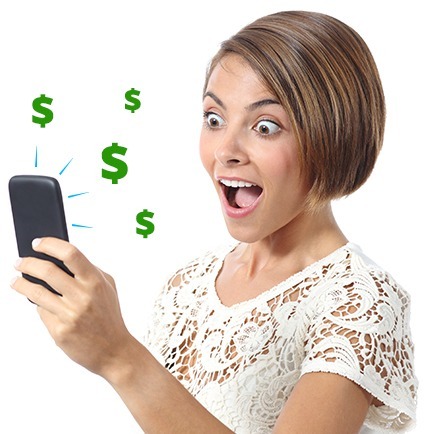 Ask us which system will help you save more! To ensure you’re happy with your cooling system long term, we do a thorough assessment of your site, including everything from home size to construction methods. For example, you may have a medium sized house with high ceilings and southern exposure, but also excellent insulation and modern three-pane windows. If you moved that same home to a forested lot that provides constant shade you would require a different size of cooling system. Every detail counts when it comes to choosing the right system, and our detailed heat gain/loss calculations will reveal the true system requirements. We also take the time to talk to you about your cooling needs. Perhaps you’re on a budget and only plan to use your AC when it’s unbearably hot. Or perhaps you work a lot from home and need reliable cooling so you can get things done, and need the best efficiency possible. ATEL Air can provide you with the perfect cooling system, no matter how simple or complex your needs. If you have ductwork installed in your home, a central air system is an efficient solution. We carry systems from 13 to 21 SEER (seasonal energy efficiency ratio). For central ACs, they simply do not make a better product than Trane – in fact they’ve won Liberty Research’s Most Trusted HVAC Brand award every year from 2015 to 2019. We used to install several brands, but after trying them all we’ve stopped carrying anything else. But you still get a huge selection of models ranging from budget friendly models to the most efficient and powerful air conditioners money can buy. Best of all, we’re an authorized dealer, factory-trained to install your system exactly as the engineers intended, no matter how unique your home is. Fixed monthly fee that never changes. Buy out with no penalty. No additional costs – guaranteed! 10-year parts and labour warranty. For homes without existing ductwork, a ductless air conditioning system is a great solution. They’re also ultra efficient at up to 27 SEER. They consist of a wall or ceiling mounted unit that connects to the outdoor unit via slim tubing that make for mess-free installation. You can get a ductless system as simple or as complex as you need, from one unit (a “mini split” system) to multiple units (a “multi-split” system). Ductless air conditioners can also be set up with zoning capability to independently cool different zones of your home. They look great and don’t interfere with your decor, your view, or the security of your home like window units can. They can be wall or ceiling mounted – don’t take up floor space like freestanding air conditioners. At as low as 19dB, the indoor unit is literally quieter than a whisper (which is about 30 dB). Many models include advanced air filtration that traps allergens, pollutants, and even bacteria and viruses. Most models are Energy Star qualified. Mitsubishi’s ductless systems have a proven track record that outshines all other brands. We carry all models of the Mr Slim and S-Series lines. ATEL Air is an authorized Mitsubishi dealer and installer, and are certified “Mitsubishi Electric Quality”. A heat pump transfers heat where it’s needed, moving it outdoors in summer and indoors in winter. If you want a super efficient cooling system that will also help you save energy on heating, a heat pump is the answer for you. Heat pumps work with your home’s ductwork system, and can be set up to work with your furnace as needed. For example, you may want your furnace to automatically kick in on the very coldest days. Increased energy efficiency, whether in heating or cooling mode. Easier to install than a ground-source or geothermal heat pump. Most installations can be done in a day. No fuel deliveries needed. If you have electricity, you can have a heat pump. More compact than a digging up your lawn to install a geothermal ground loop. 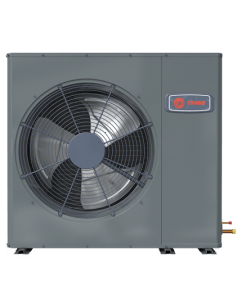 We offer a variety of air source heat pumps by Trane and Mitsubishi – ask us which options work best for your needs. 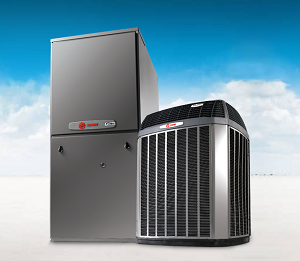 The quietest and most efficient Trane heat pump yet with sound levels of 43 to 57dBA. Space saving design is great for constrained areas – a great option under decks. Save up to 54% on energy with this 19.5 SEER efficiency. Offers 12 HSPF heating efficiency (8 HSPF is considered high efficiency). Runs at variable speeds for more precise temperature control, better filtration, and energy savings. Durable copper coil tubes transfer heat more efficiently. Ten-year warranty (with registration) on compressor, outdoor coils, and all other functional parts. Built to resist corrosion – right down to the zinc-coated fasteners. “To say that we are pleased is inadequate – we are ecstatic… The Zuba is almost noiseless, and we don’t have any combustion-based heating system to worry about. My wife and I recommend both the ZUBA system and ATEL Air* as installers." * If you would like to speak to Bruce about the Zuba, contact us and we will provide his information to you. Ductwork has an important part to play in the efficiency of your cooling system, and can help or hurt your ability to save on energy. It can also make a huge difference in the overall comfort of your home. We can design and build a new ductwork system that will get you better cooling efficiency than ever. This includes zoned systems that will allow you custom temperature control for every area of your home. For example, maybe you only need cooling on your second floor, or maybe some rooms have more sun exposure than others. Perhaps there are even rooms you seal off in winter and don’t use. ATEL Air owner Jimmie Thom is professionally trained in ductwork design and air balancing, and personally designs every ductwork system to ensure it’s done correctly. After consulting with you, he will create a system that balances the needs of summer cooling and winter heating. Then our in-house licensed sheet metal worker, Larry Toonders, creates custom ductwork that will fit perfectly and create a tight seal so all that cool air ends up in your rooms, not between your walls. It all adds up to better performance in every season of the year.